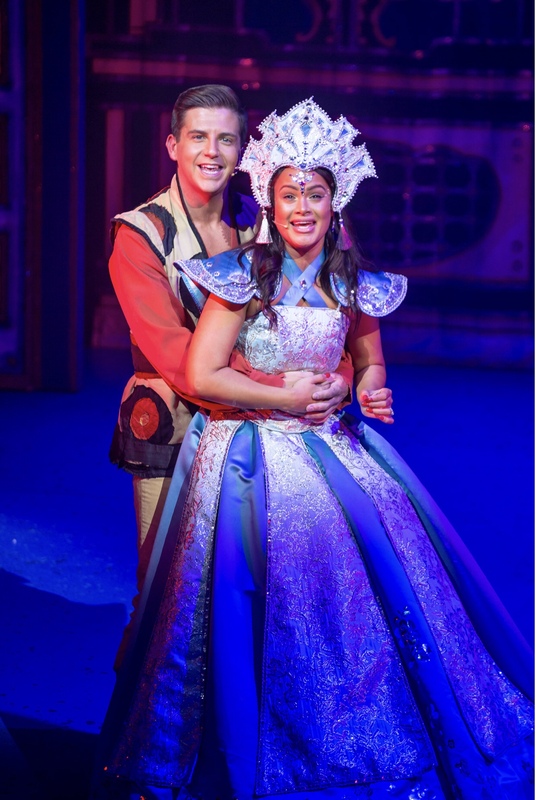 *Ad- I was kindly invited along to the press night in exchange for a review. 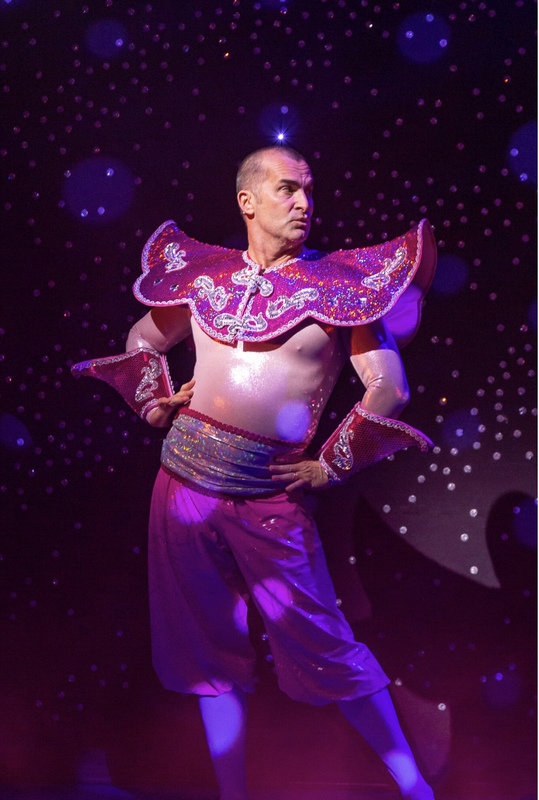 Darlington’s pantomime this year will have you mesmerised with its sparkling beauty and transport you to a whole new world. 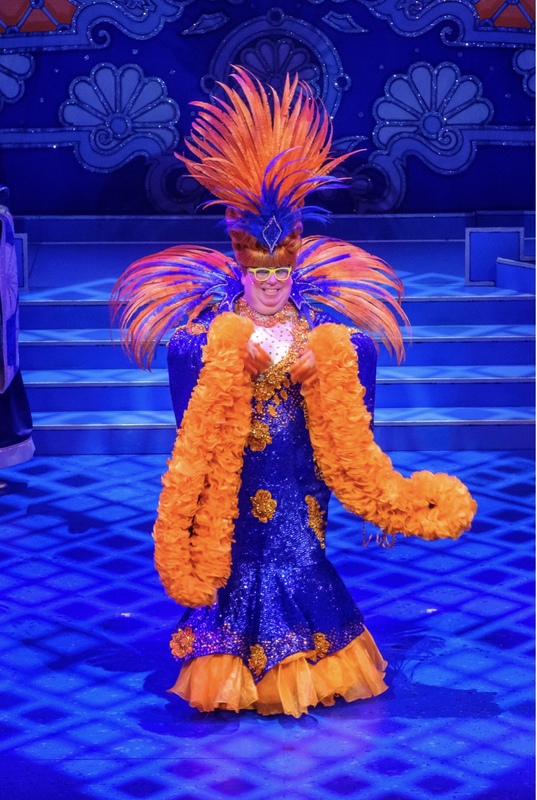 Who needs 3 wishes with this panto, when it has the tremendously entertaining trio Eric Potts (Widow Twankey), Liam Mellor (Wishee Washee) and Louie spence (The Spirit of the Ring) who have you giggling away from the moment they start! Expect hilarious dance routines, misheard song lyrics and magical trickery to the eye, this panto has so much family fun for all ages to enjoy alongside plenty of innuendo that hopefully goes over the children’s heads, gives the adults a giggle, although I must admit some parts I did wonder if they were a little too risqué. My favourite song had to be the ‘Darlo’ song which is a cleverly reworded version of the ‘Downtown’ song by Petula Clark. It’s so catchy I’m still singing it now! With mention’s of the Skerne and the Quakers every one in the audience can’t help but sing along too. With one of the hit songs from The Greatest Showman bringing us some amazing scenes from Jasmine( Zoe Birkett) and Aladdin (Carl Douglas), the duo performed flawlessly throughout. There was some amazing choreography performed by the cast who were also joined by the babes of the panto – Joanne Banks Dancers. The stage backgrounds were lavishly adorned with sparkle and beautifully designed. 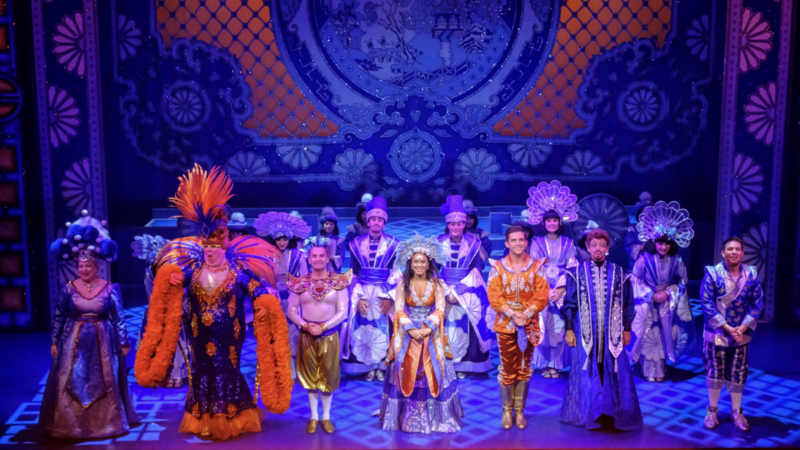 The costumes fit in perfectly to each scene with Jasmine wearing princess outfits that little girls would dream of to the outrageously flamboyant outfits for Window Twankey, the girls favourite was the panda outfit, whereas the Jasmine inspired outfit for Widow Twankey had the audience erupting with laughter. The magic tricks have the children amazed and wondering how Aladdin wasn’t injured, and how did he get over there?! Not forgetting the most magical carpet ride which has the audience young and old transfixed especially when it makes it way over the top of the stalls audience, expect to hear gasps from young and old alike. Zoe’s singing really takes it to another level too. 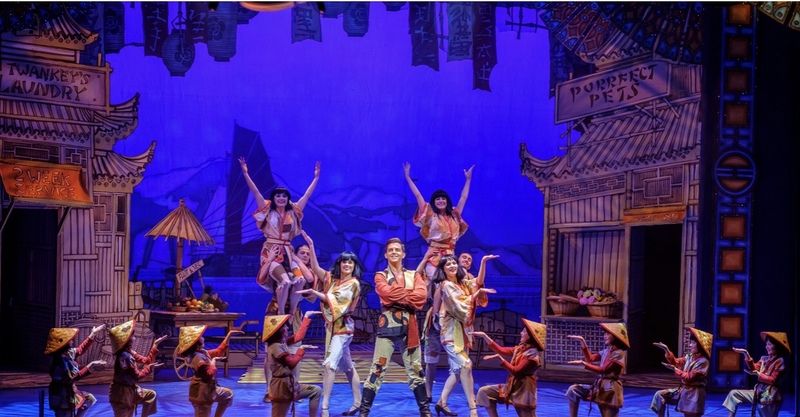 The special effects and staging are spectacular throughout alongside the cast’s talent it makes for a perfect match. The only let down for us was the genie, with the spectacular entrances from the spirit of the ring it was a tad underwhelming when the Genie appeared. 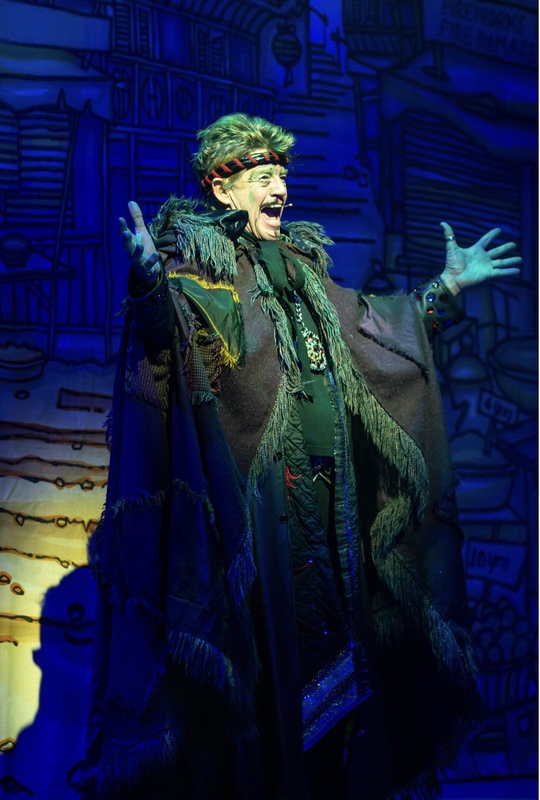 Like any panto, we have the baddie this one is ‘Abanazar’ (Robin Askwith) the lighting, sound and stage presence when he arrived on stage it had my youngest cuddling into me but she was soon joining in with the hissing and booing. This years panto is well and truly ‘Cracking!’. 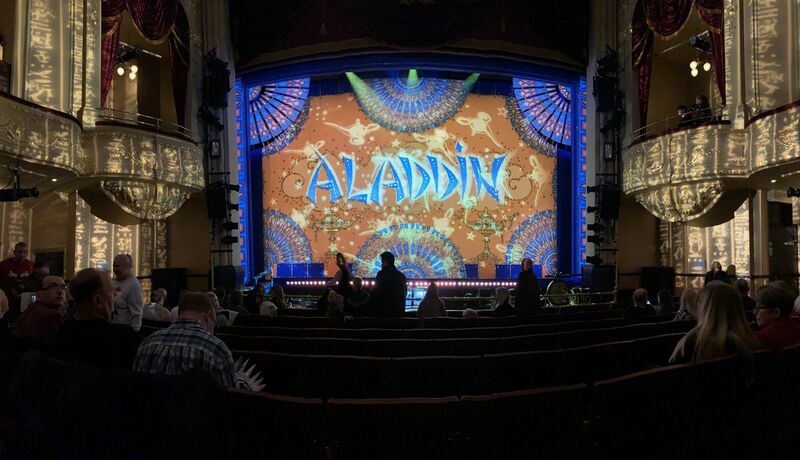 Aladdin is on at Darlington Hippodrome from Saturday, December 8th, 2018 to Sunday, January 6th, 2019. Tickets can be purchased from the box office on 01325 405405 or through the website. 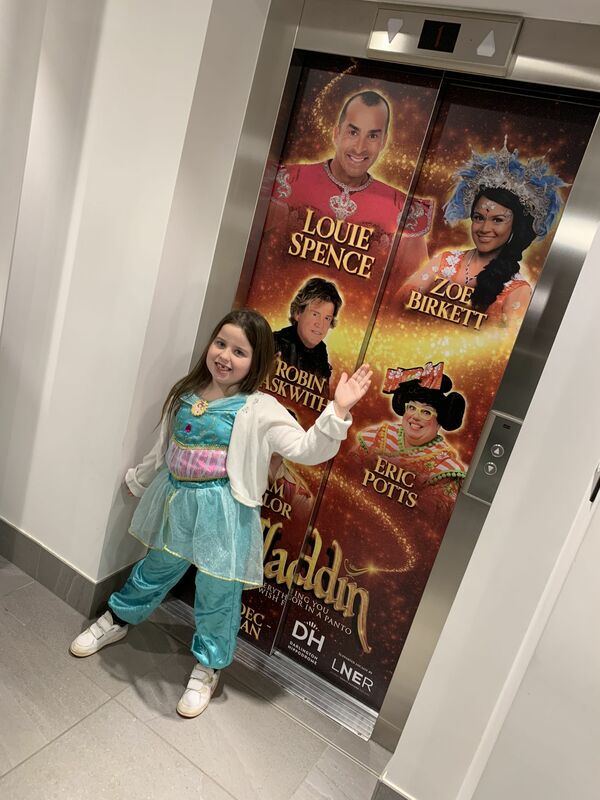 Willow was desperate to try to catch a glimpse of Jasmine at stage door afterwards and has talked non-stop about how great she was especially the act in the pyramid ( I won’t give away too much as you really need to get along and enjoy it for yourself). 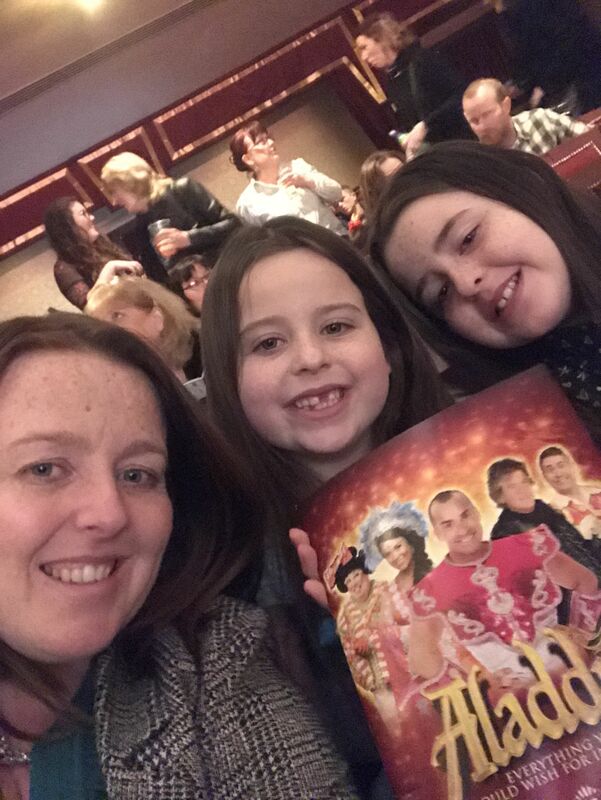 Lily’s verdict – it was amazing I loved the bit with the all the chocolate bars it was very funny, the outfits where amazing, so sparkly! The Greatest Showman song was brilliant. The magic carpet – WOW! Willow’s verdict – Wishee Washee was my favourite he was hilarious. I loved Jasmine too and her singing.